Nevada rancher Cliven Bundy may be heading back to court again for criminal charges related to his standoff with federal officials in 2014. U.S. District Judge Gloria Navarro dismissed the charges against Bundy in January 2018, but federal prosecutors intend to appeal the judge’s decision to the Ninth Circuit by Feb. 6. Should the Ninth Circuit rule against him, Bundy plans to continue his court fight and “expose the rest of their dirt” after federal prosecutors violated federal law by withholding exculpatory evidence during Bundy’s trial. Federal prosecutors plan to appeal U.S. District Judge Gloria Navarro’s decision to dismiss the charges against Nevada rancher Cliven Bundy by Feb. 6, according to a Wednesday court filing. Department of Justice (DOJ) prosecutors intend to request the Ninth Circuit Court of Appeals overturn Navarro’s ruling. Assistant U.S. Attorney Elizabeth White requested a 14-day extension to file an appeal with the Ninth Circuit Wednesday, following up two previous requests for a 60-day extension, then a 21-day extension. “Hey, get with it. We’ll expose the rest of their dirt,” Bundy told The Daily Caller News Foundation, ready to go back to court should the Ninth Circuit order a retrial. Bundy’s case ended in a mistrial on Dec. 20, 2017, after a team of federal prosecutors were found withholding evidence from the court that was favorable to Bundy’s defense. Prosecutors handed over roughly 3,000 pages worth of overdue evidence to the court after repeated requests from the defendants. Navarro found the prosecutorial team had broken federal law and violated the defendants’ civil rights by not turning the documents over sooner, according to court documents. 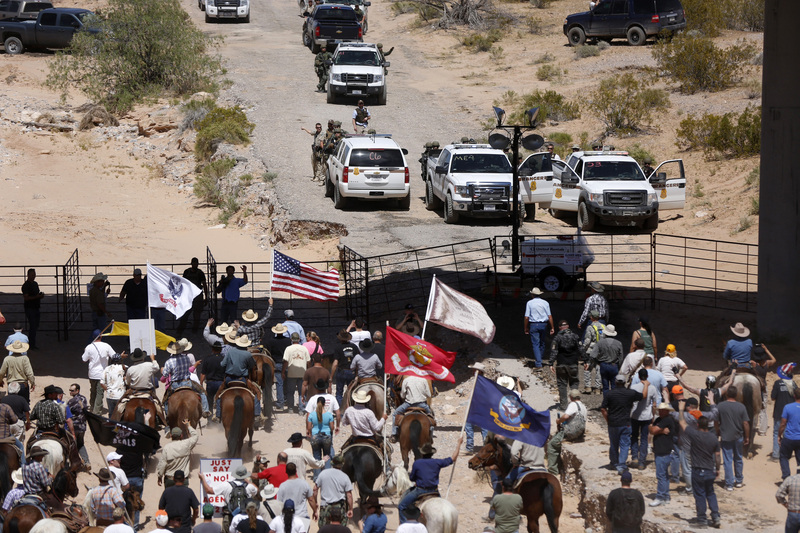 The federal prosecutors’ attempt to overturn Navarro’s decision and put Bundy back on trial is “surprising” to the 72-year-old Nevada rancher. Former Attorney General Jeff Sessions took notice of the Bundy’s case after Navarro dismissed it. Sessions ordered a DOJ investigation in December 2017 into the potential misconduct of the federal prosecutors, led by former acting Nevada U.S. Attorney Steven Myhre. The DOJ has yet to issue any findings in the investigation of Myhre’s team. Until those results are released, any DOJ attempts to bring Bundy back before a judge are “absolutely premature,” Bundy family lawyer Joseph Kerry told TheDCNF. Myhre stepped down from his No. 2 position at the Nevada U.S. attorney’s office in April after taking criticism for committing what Navarro called “flagrant” misconduct in the Bundy trial. The Nevada U.S. attorney’s office did not give an official reason for Myhre’s action, the Las Vegas Review-Journal reported at the time. Bundy believes the jury would have found him innocent had his trial been allowed to conclude with the withheld evidence. His case rested on his right to self-defense against hyper-aggressive action taken by Bureau of Land Management (BLM) officials attempting to impound his cattle. The results of an internal investigation of the BLM found that federal agents committed “the most intrusive, oppressive, large scale and militaristic trespass cattle impound possible.” The investigation results were part of the 3,000 overdue pages of evidence that led to the mistrial. Though he was forced to forget his business while he stayed two years in prison, the ranch is still in operation thanks to family and neighbors helping out. 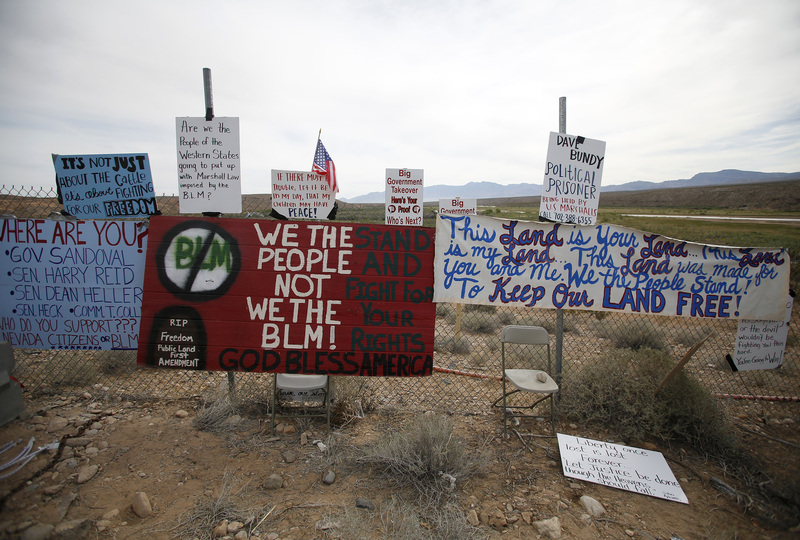 “It did hurt us financially and physically, but we are surviving,” Bundy told TheDCNF.